Moves to regulate derivatives have not addressed all the inherent risks. The move to regulate derivatives trading has been well received but the devil, and eventual effectiveness of reform, will be in the details that will be years in the making. Insurer AIG had more than $500bn (£321bn, €384bn) in credit default swaps on its books in 2007. In December, as market conditions worsened, Joseph Cassano, who had run the company’s derivatives unit, told investors these positions would need to be marked down only modestly. The following year, the US bailed out AIG to the tune of $182bn. There was not anything fundamentally wrong with derivatives that hedged against a bond default. 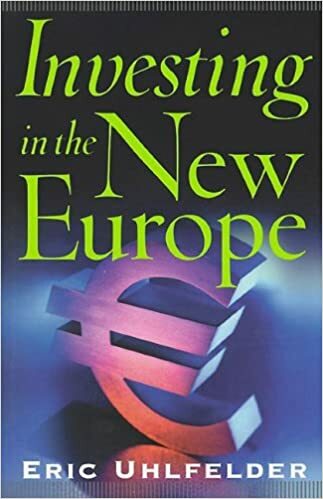 But the creation of credit default swaps without sufficient capital behind them revealed just one of many examples of how exposed the US economy was to illconceived derivatives. Making matters worse was the huge information gulf between what underwriters knew and what buyers did not know, which prevented the market from self-correcting. The passage of the Dodd-Frank Wall Street Reform and Consumer Protection Act responds to this and the many other market failures that brought the US economy to its knees. Political rhetoric aside, virtually all observers believe the act is a step in the right direction. The move to shift the majority of derivative trading to exchanges and clearing houses will help lower risk, according to the director of public affairs at the US Commodity Futures Trading Commission, which, in concert with the Securities and Exchange Commission, will translate Congressional intent into practice. The Dodd-Frank Act requires prudential regulators to set minimum capital requirements, while clearinghouses require pricing regularly marked to market. Just as important, regulators will establish standards of business conduct, including record keeping and reporting so regulators will be able to monitor transactions. But it is far from certain whether the necessary standards needed to implement these changes will be enacted. These are the details that must be worked out. Henry Kaufman, an economic and financial consultant, believes reliance on clearing houses will help enforce key trading requirements and mitigate the potential impact of counterparty risk. “This will help us avoid one source of difficulties that fuelled the financial meltdown in 2008,” he says. But he remains sceptical that a key fundamental issue will be addressed. “The vast majority of the derivative market is underwritten by five to six major financial institutions,” says Mr Kaufman. He does not believe that new rules will alter this fact, leaving in place the systemic problems of concentration and financial organisations that are too big to fail. “It will take years to effect the new regulations and the interests of these institutions will be well represented in the process,” warns Mr Kaufman. He fears one such place of compromise will involve proprietary trading, where there can be serious conflicts of interests. Mr Kaufman is also concerned that there may be insufficient transparency to discern full underwriter derivative exposure by scale, sector concentration, and event exposure. He is unsure how regulators will devise new rules that will address these issues, and does not believe that clearing – in this instance – will make much of a difference. There will also be additional costs related to margin requirements. Titan Capital Group, a hedge fund manager with $400m in assets, relies largely on derivatives to execute its volatility trading strategy. Russell Abrams, president, says the market still does not know how much margin regulators will require. But however much it is, it will cut into returns. The current spike in implied volatility – especially involving equity index options that go out 10 years and longer – suggests the market is pricing in higher margin costs, Mr Abrams says. Nevertheless, he believes reform will lead to a reduction in leverage and help ensure a more stable financial system. 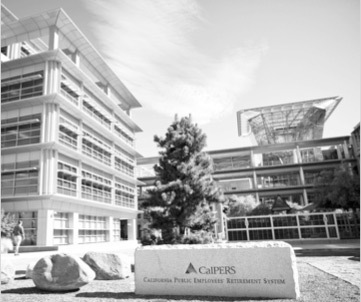 Even before the financial crisis hit, Calpers, the $205bn California pension fund, had increasingly relied on collateral support agreements, which is comparable to the use of margins. Eric Busay, head of the fund’s foreign exchange and international fixed income exposure, explains Calpers is already moving in the direction in which the reforms are heading, so he thinks the evolving rules will not materially affect the way Calpers functions. Viral Acharya, a professor at New York University’s Stern Business School, agrees that improved transparency provided through clearing will enhance the efficiency of derivatives markets. But he is concerned how the government would intervene if clearing houses were hit by the same blow that hit traders several years ago. “These structures aren’t banks and how government could provide liquidity is not clear,” says Mr Acharya. The CFTC thinks clearing inherently provides the necessary backstop to protect the system. While its spokesman admits the full network is not yet in place, extensive dealer membership in these houses and the extensive margin that will be involved in clearing derivative trades will mutualise risk, he says. The CFTC is also optimistic that requiring daily mark to market pricing – currently not necessary for bilateral agreements – will enhance visibility of conditions, as will consistent reporting to regulators. Contrary to Mr Acharya’s point, he says under extreme circumstances clearing houses can get access to Federal Reserve capital. To Jonathan Kanterman, managing director of Stillwater Capital, a $750m fund of hedge funds, regulators must use this moment to cosmically alter their treatment of CDSs. “Once and for all they must recognise these contracts as insurance policies and require sufficient capital reserves,” says Mr Kanterman. He points out that the majority of the $787bn US bail-out programme actually went to stabilise CDS trades. The issue is especially critical, he says, when we see underwriting of swaps that are many times the size of the underlying debt. “Even with sufficient capital, this could lead to dysfunctional, destructive market behaviour,” Mr Kanterman says. Second, he wants bond ownership rights to be affected by the degree of CDS exposure. “There’s the potential for a conflict of interest by debt holders who could stand to profit more from bankruptcy than restructuring,” explains Mr Kanterman. And he would like to see limits placed on the purchase of naked shorts – default protection without ownership of the underlying security. Mr Kaufman agrees. Like many regulatory changes necessary to effect reform, Mr Kaufman worries the new rules will not be able to limit the use of derivatives for speculative purposes. This entry was posted on Monday, August 2nd, 2010 at 9:02 am	and is filed under US INVESTING. You can follow any responses to this entry through the RSS 2.0 feed. You can leave a response, or trackback from your own site.